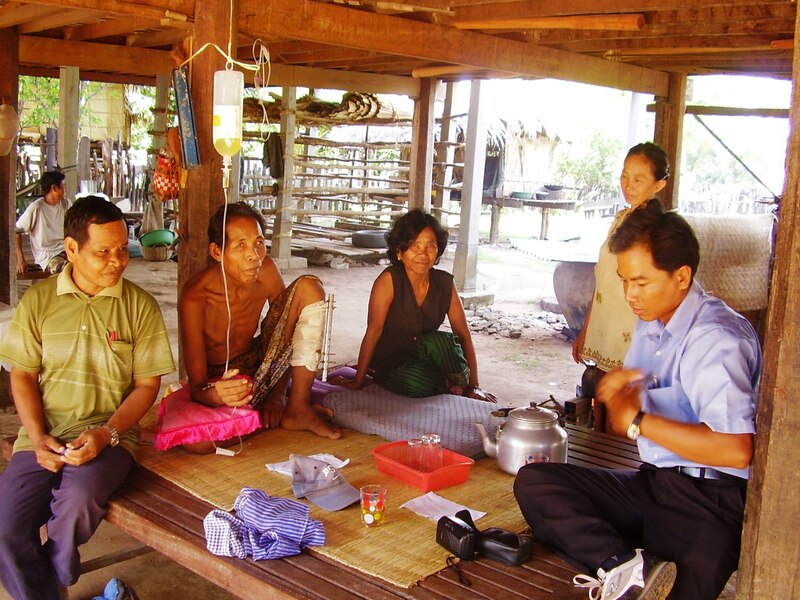 Kamsorn (right) talking with a Kuy village leader who has a broken leg. God is enabling Tom to use his previous experience in Thailand to become a bridge for Thai believers to be a witness for Christ in Cambodia. We are hoping this will help the Thai church become more missions oriented. Pastor Kamsorn has had a vision for reaching the Kuy people of Cambodia for about 15 years now, from when he first trusted Christ as his Savior. Since then, he has gone to Bible school, married and had four children. He is a pastor of a church in his home village in northeastern Thailand near the Cambodian border. He is also a farmer. Though Kamsorn is a Thai citizen, his mother is ethnic Kuy and his father is ethnic Khmer. His village includes both people groups. He has a vision for involving his church members in outreach to the Kuy in Cambodia. Thom and Preah Vihear provinces visiting Kuy villages, believers, village leaders and those who are working with the Kuy. He left via a different border crossing which is quite close to his home in Thailand. different he was quite successful in this. He also found that he could communicate fairly well with Kuy people here. Kuy people were very happy to meet a Kuy person from Thailand. They are somewhat isolated here and were excited that there are more Kuy in other places. Please pray for Kamsorn and his church as they seek the Lord and consider ways that they could be involved in helping to bring the gospel to the Kuy here in Cambodia.